Emergency Fest's goal is to bring awareness to the community of the capabilities of emergency services in the High Country. Departments included in the event are: Police, Fire, Rescue, HAZMAT, Red Cross, Ski Patrol, MADD, NRLP, NC Forestry, State Disaster Response, and Medical Services. The event is open to the general public and there is no charge to attend. Emergency Fest offers something for all ages: Fire extinguisher training Medical Evacuation Helicopter displays Interactive fire-fighting skills for kids Drunk buster and texting while driving challenges by our State Highway Patrol Bounce houses for the kids Clowns Live demolition display by the Wilkes County Bomb Squad Electrical Safety and Bucket Lift Rides by New River Light and Power Live Large Scale Vehicle Extrication exercise A scavenger hunt complete with free giveaways when completed, and much, much more. 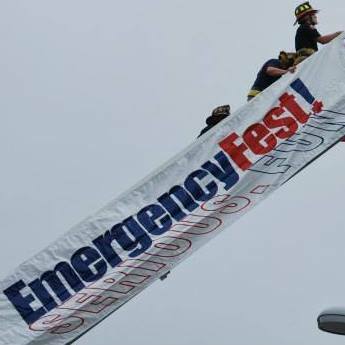 Freehttps://highcountryhost.com/images/events/EmergencyFest.jpgBoone Emergency FestBoone Emergency Fest2018-06-02 10:00:002018-06-02 14:00:00Peacock Parking Lot on the ASU CampusPeacock Parking Lot on the ASU CampusEmergency Fest's goal is to bring awareness to the community of the capabilities of emergency services in the High Country. Departments included in the event are: Police, Fire, Rescue, HAZMAT, Red Cross, Ski Patrol, MADD, NRLP, NC Forestry, State Disaster Response, and Medical Services. The event is open to the general public and there is no charge to attend. Emergency Fest offers something for all ages: Fire extinguisher training Medical Evacuation Helicopter displays Interactive fire-fighting skills for kids Drunk buster and texting while driving challenges by our State Highway Patrol Bounce houses for the kids Clowns Live demolition display by the Wilkes County Bomb Squad Electrical Safety and Bucket Lift Rides by New River Light and Power Live Large Scale Vehicle Extrication exercise A scavenger hunt complete with free giveaways when completed, and much, much more.